Smithtown, NY Lieb at Law, P.C. has welcomed Mordy Yankovich as a senior associate attorney in the employment and real estate litigation practice. Lieb at Law also welcomed Steven Siliato, Esq. as an senior associate attorney. Yankovich focuses his practice on corporate, real estate and employment litigation and compliance. In addition to litigating matters, he advises clients on compliance with federal, state and local laws and conducts trainings for employers, including anti-discrimination and anti-harassment trainings, to minimize clients’ potential exposure. He is also an employment law columnist for The Suffolk Lawyer, Law Journal. 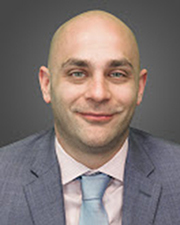 Prior to working at Lieb at Law, he was a litigation associate with Jackson Lewis, P.C., a national law firm focusing on labor and employment law. 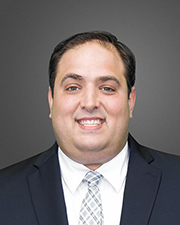 Siliato focuses his practice on transactional real estate law and closings. He represents clients in acquisitions, sales, land use, development/construction, leasing and evictions. Mr. Siliato also represents corporate clients in entity structuring, joint ventures and business sales. Prior to joining Lieb at Law, he was an associate with Russo, Karl, Widmaier and Cordano PLLC and the Law Offices of Richard J. Cohen, P.C. Lieb at Law, P.C. is the strategic legal partner to the real estate professions. The firm offers services in litigation, corporate compliance, business and real estate transactions and employment law in the greater New York metro area, inclusive of the Hamptons and Manhattan. Established in 1977, Lieb at Law originally located in Center Moriches and Manhasset, moved its headquarters to Smithtown on September 1, 2018.